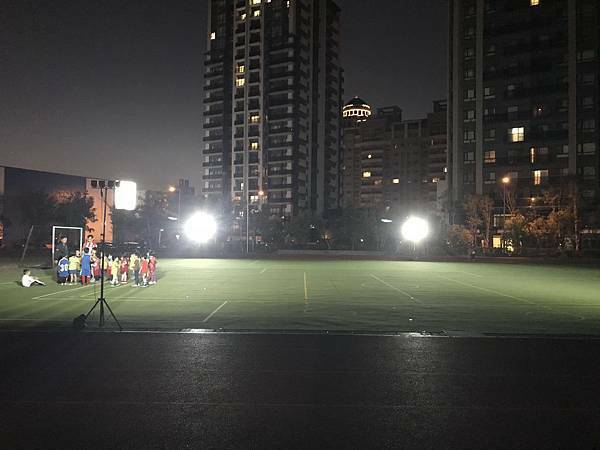 This is the introduction of special lighting is it [mobile LED soccer light group]. 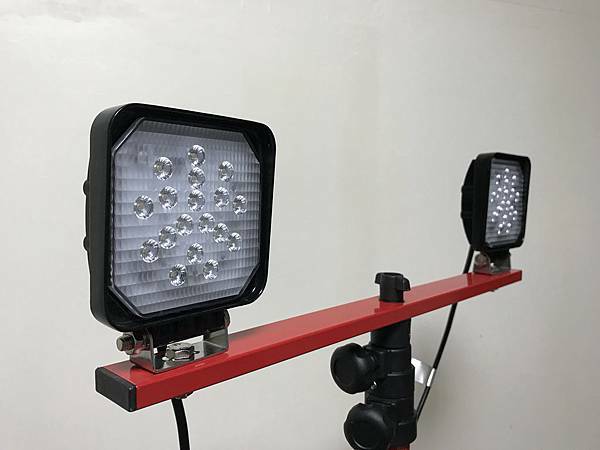 Applicable to outdoor camping, field camping, outdoor activities, night football, fish / boat, equipment lighting, auxiliary lighting, solar lamps, CNC equipment lights, truck lights, Hummer car lights. 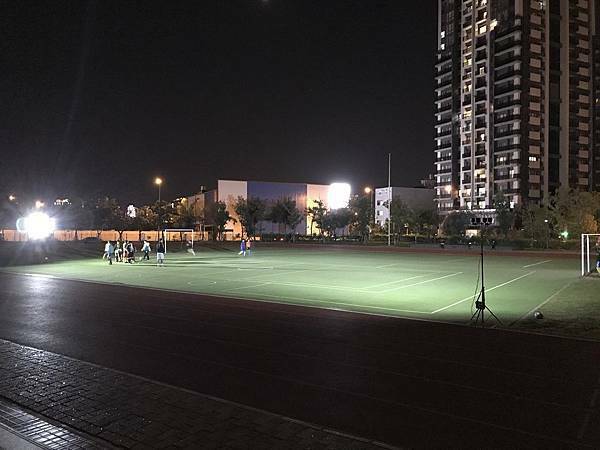 ◆ high color CRI> 80, greatly enhance the night lighting more clearly. ◆ Die-cast aluminum housing, good shock resistance and high stability. ◆ front sealed waterproof design: can withstand harsh environments such as heavy rain or high humidity use. ◆ All-in-one optical lens to enhance efficiency, and use PC material scratch more durable. Long-life lamps and lanterns: Specified 130lm high efficiency Taiwan 3030LED chip, life expectancy greater than 30,000 hours. 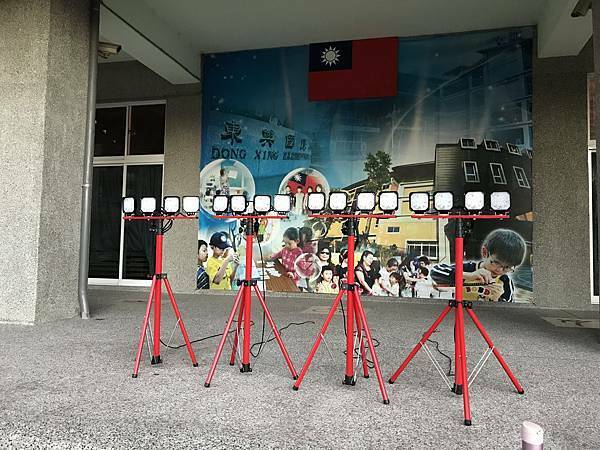 ◆ Battery capacity 12V / 22AH about two lights about 5 to 6 hours, four lights about 2.5 to 3.5 hours. 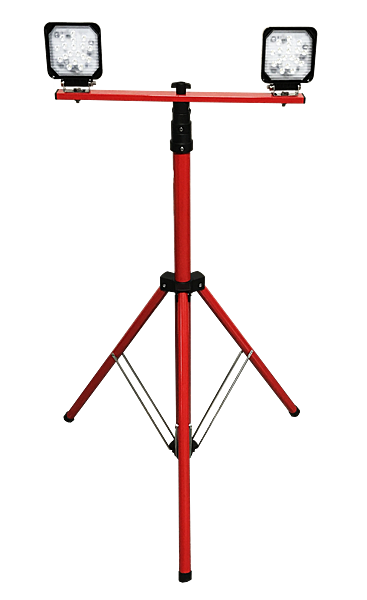 ◆ pole extension 2.5 m wind speed of less than 41～51km/h can be used, be sure to attach the battery to the bottom of the adjustment screw. 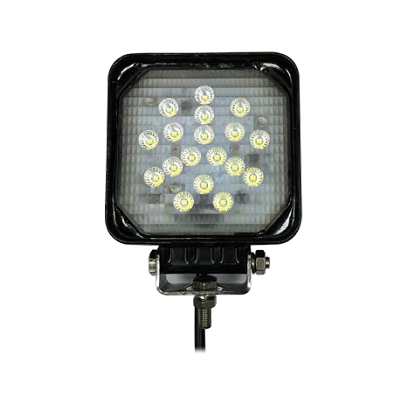 After thelights is in the predetermined position, the waterproof electric pack hangs on the most bass adjustment screw. Dusk lights begin to adjust the angle to the best. 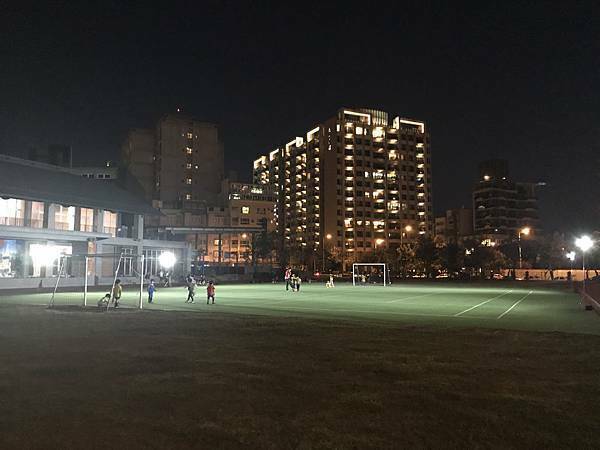 The first half by the cosmic football team - Xu coach guidance, young and old classes to lead school age 3 years old to 4 years old, football training and confrontation. 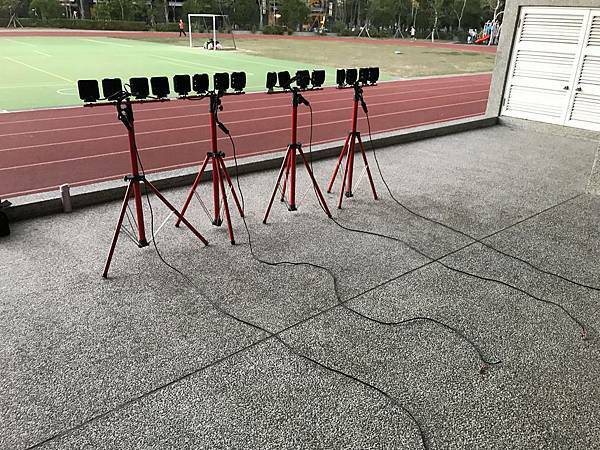 The location of these lamps and angle adjustment, the actual application of the simulation in advance, and the actual measurement, the guidance of coaches to complete the guidance. Resulting in poor training, or easy to make players injured, extending the easy visual fatigue. 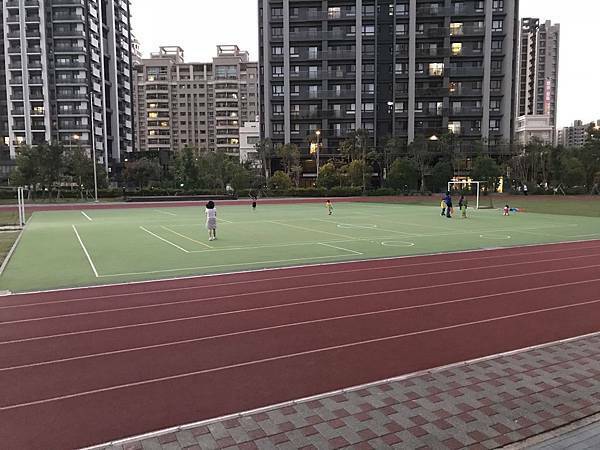 The second half by the Hsinchu County Dongxing National Primary low-grade football team practice - Hsinchu County Dongxing National Primary School Peng coach guidance. 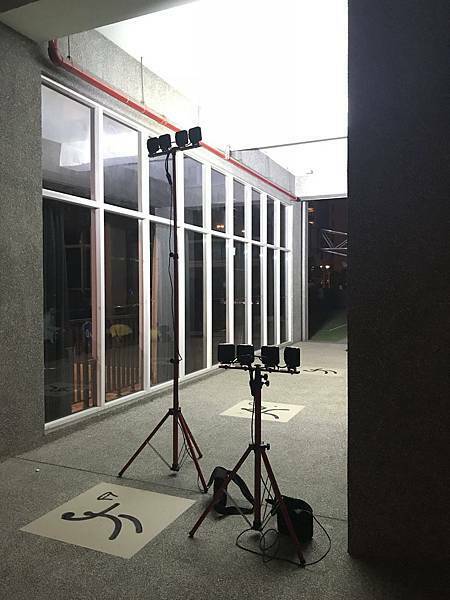 A variety of angles outside the actual shooting. 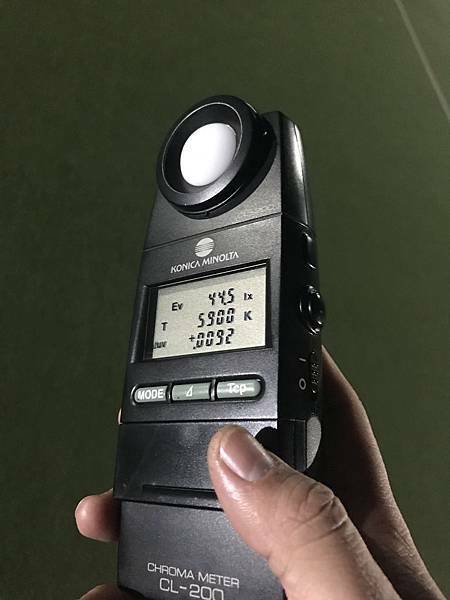 After 1.5 hours of training and confrontation, verify the angle and height of lamps and other aspects of confirmation, leaving the data and analog comparison. 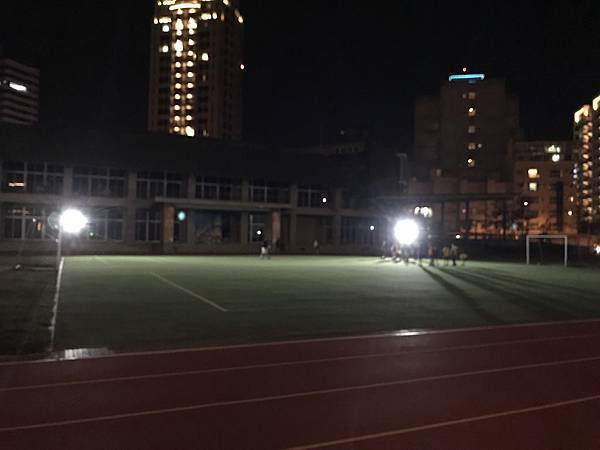 Finally, the light catch light, so that students and coaches pack ball. 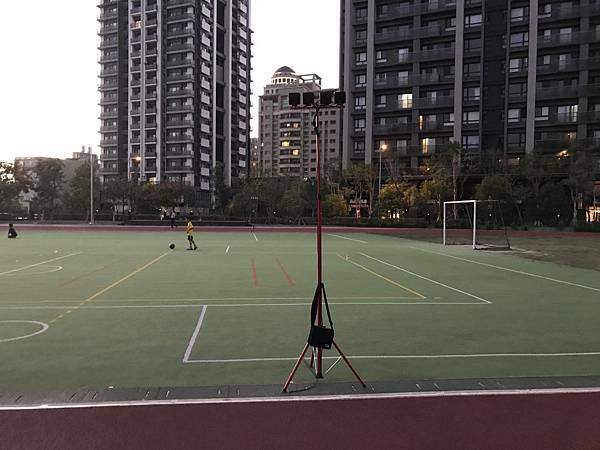 Light storage is also very fast and easy, light pole with the same bag, the battery itself is a bag. 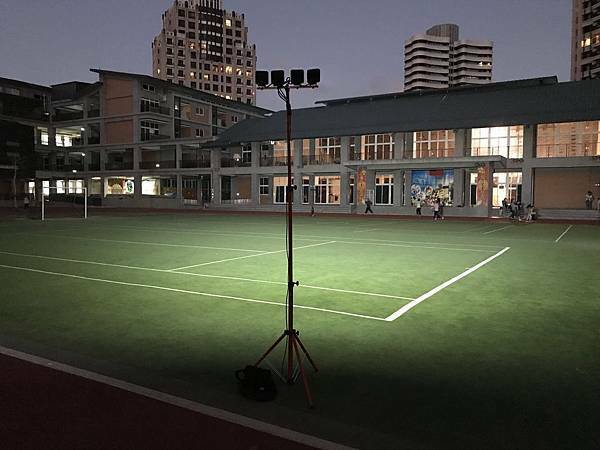 Proven double lamp and four lamp pole group can be used in 40x40 meters, the difference in brightness is sufficient. 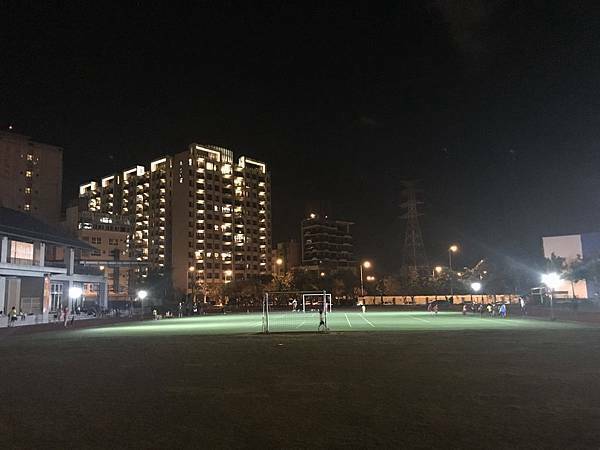 Special thanks to Hsuchu Universe Football Team - Xu Coach and Pang Coach, Dongxing National Primary School, Hsinchu County. 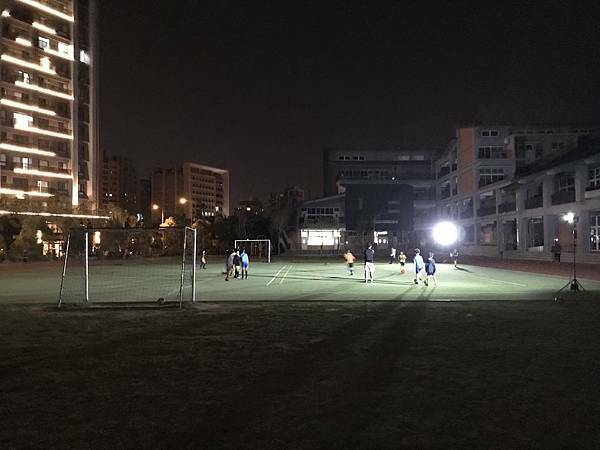 Allow students to play football in moderate lighting, but also enjoy the joy of playing football. 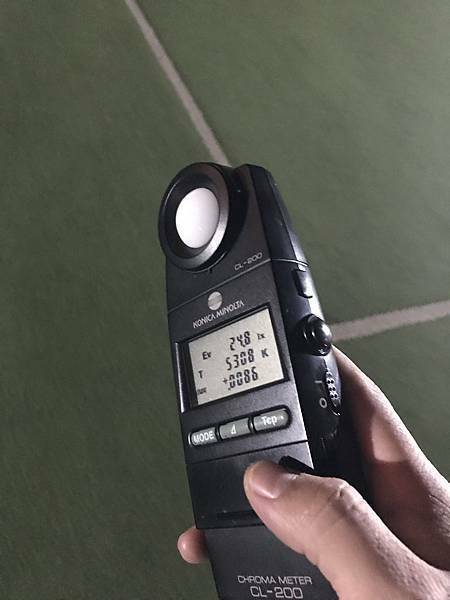 For lighting assessment of football or other activities, or purchase the entire product, welcome to inquire.